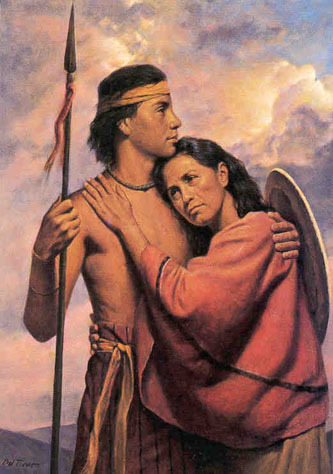 The young men that we refer to as “Stripling Warriors” were sons of the converted Lamanites known as Ammonites (the People of Ammon, or the Anti-Nephi-Lehies) who became warriors under the prophet Helaman’s military charge (Alma 53:16–22. 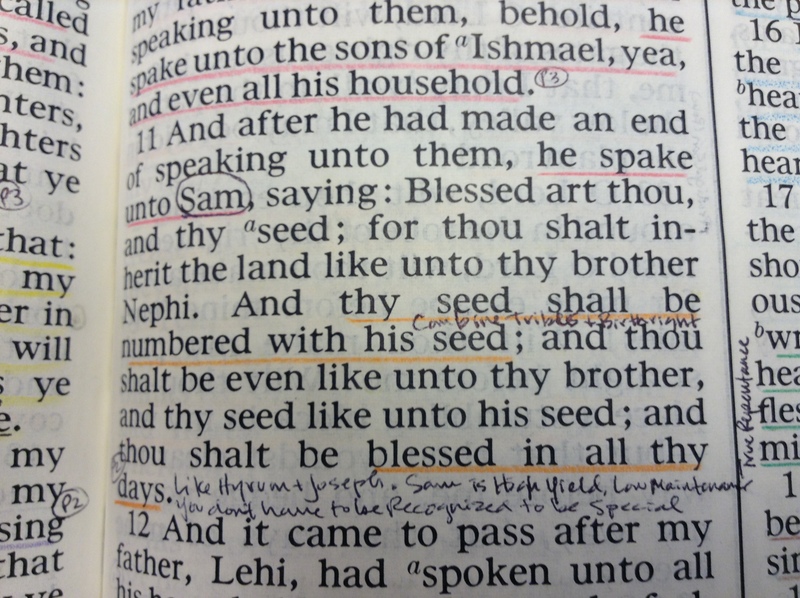 See also #BOMTC Day 54, May 30~Alma 53-55 or Pages 343-349: Follow the Prophet!). These scriptures teach us that the young men had never fought in battle before but that they had not entered into the same covenant as their parents to not fight in war. 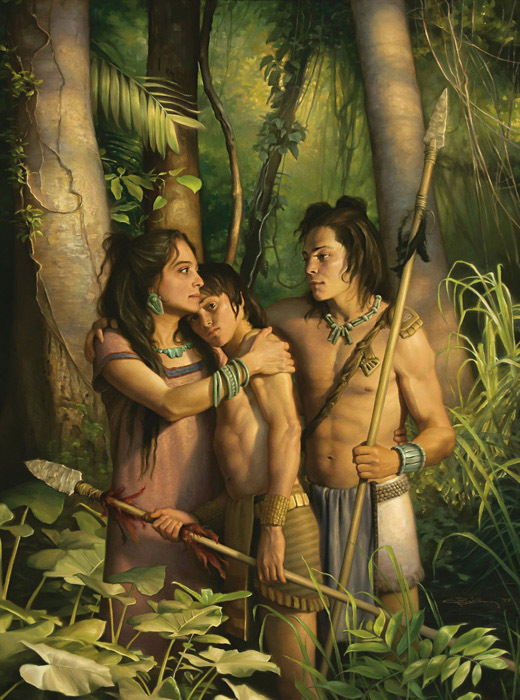 If the Nephites considered them to be under the age of accountability, then that covenant would probably have excluded children under age eight (See D&C 68:25). 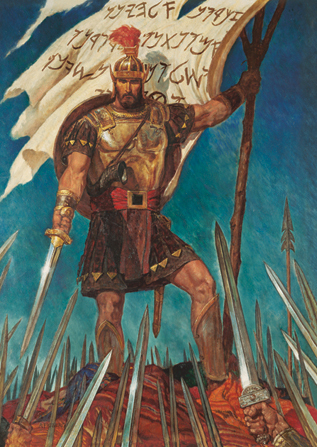 Some suppose that Helaman’s “stripling” warriors were roughly twenty years old because that was the minimum age for Israelite soldiers according to the law of Moses (See Numbers 1:3). According to the timetable of the book of Alma and an article in the Ensign magazine, These “stripling warriors” could have ranged in age from twenty (using the law of Moses as the standard for the time) to about twenty-two (those who could have been about seven years old when the oath was taken by their parents) in the twenty-sixth year of the judges. 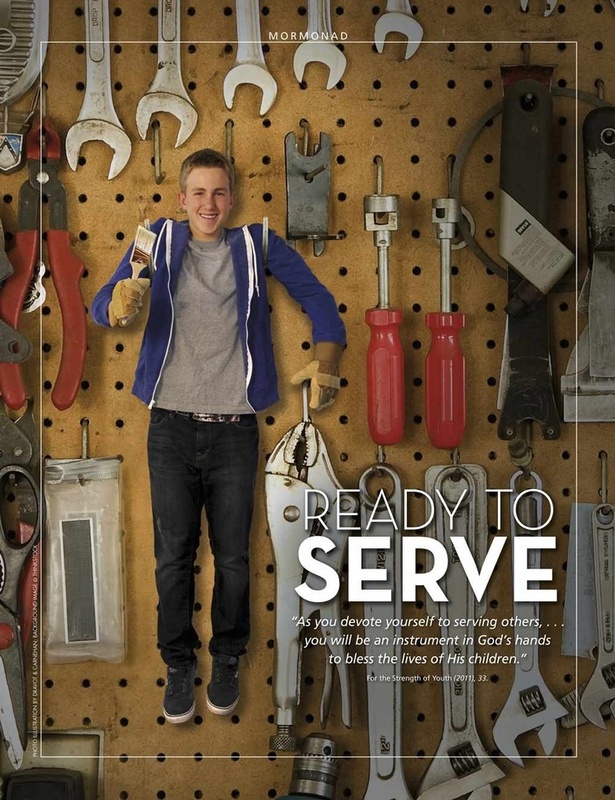 Three years later, sixty young men joined Helaman’s two thousand stripling warriors (see Alma 57:6), perhaps having reached the age for military service. By the time that Helaman wrote his epistle to Moroni (see Alma 56:1), it seems possible that his youngest soldiers perhaps were age twenty-one, and his eldest, twenty-six. 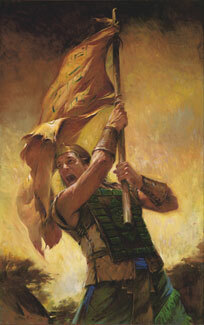 Helaman and Captain Moroni became the Nephites spiritual and military leaders, respectively. Some people who were angry with Helaman and his brethren chose to leave the Church and follow a wicked man named Amalickiah, who wanted to be king. Amalickiah selfishly pursued his unrighteous desires to become king using tactics that resembled those of Satan. To help defend the liberty of the people, Moroni, who was the chief captain of the Nephite armies, tore his coat and used a piece of it to make a “title of liberty” to rally the people in defense of liberty (see Alma 46:10-36). 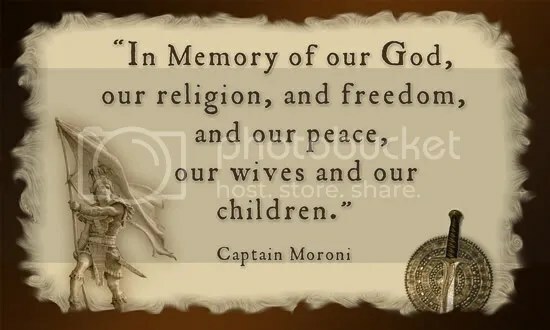 Captain Moroni used Title of Liberty as a STANDard (see Alma 46:36) to help his people to be faithful to God and withSTAND evil during those perilous times. 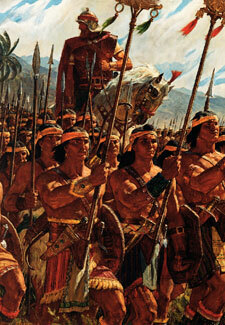 The Nephites who joined with Captain Moroni captured the army of Amalickiah. 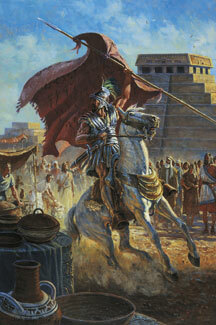 However, Amalickiah and a few others escaped and joined the Lamanites. President Boyd K. Packer also gave a wonderful talk which used these chapters as an outline to teach the doctrine of repentance (“I Will Remember Your Sins No More”). I invite you to read, watch, or listen to his talk in its entirety and see what changes in “attitudes and behavior” you begin to make!